Clippard Instrument Laboratory was established in 1941. The company’s product line initially started out with electrical test equipment, magnetic windings, and lastly, frequency coils. A decade later, Clippard opened Minimatic® components as one of their product services. Leonard Clippard led the revolutionary movement of miniature pneumatics until the year of his retirement in 1977. Clippard innovated the concept of precision fittings, and upgraded its game to set a higher standard for the competitive market. This has led to a groundbreaking creation for fittings that saves the user time and space. In addition, Clippard’s designers created a cost-effective blueprint for pneumatic circuits. Clippard opened up a wide range of variety for the user’s convenience. These arrays start from miniature hose to tubing, and the engineers have incorporated the utilization of copper and nylon tubing in their makings to elastic urethane and vinyl. This completes its store for flexibility and adaptability to the people’s needs. Clippard’s inventive athletics are intended for trouble-free, pneumatic circuits for a fast and easy experience when it comes to assembling and plumbing pneumatic circuits. The fittings are generally in an ideal size that comes with a large performance. Eradicating the need for more costly cumbersome fittings, Clippard’s products became the industry standard in the current market to date. Clippard’s valves have been built to ensure that the ideal capacity given. This makes sure that there’s no wasted valuable space in the process. Cutting down additional costs as Clippard’s valves reduce unnecessary speed, impact wear, and even air use. 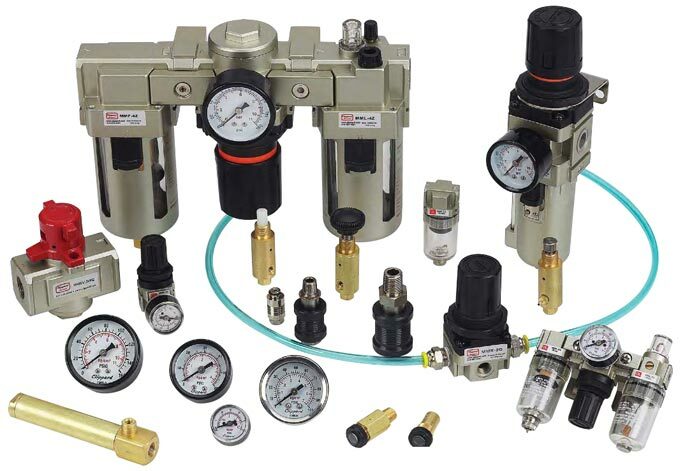 Believing that every air system is unique, the company’s collection of extensive pneumatic valves delivers a solid promise of keeping up with their client’s application needs. Clippard made a revolutionizing change in the market back in the 1970’s for electronic valves. During the time of the process, it’s partnered with a line of miniature valves. The company’s consistency with its quality became one of the industry’s best for reliability. These electronic valves follow highly developed manufacturing techniques to surpass competitors. Advanced designs and application engineers to certify customer’s satisfaction – its application engineers have outclassed others thru experience and purpose. Usually utilized for a number of applications, Clippard’s engineers ensured precise media isolation valves for the function of analytical instrumentation. Sold for the focus of control, the company’s Air pilot valves remains at the top of its game than with force induced from electrical solenoids or actuators. Clippard’s designers created one of the best of its kind for miniature applications. This is where higher airflow and/or lower power are obligatory. Saving customer’s hundreds of dollars due to its appropriately conditioned air, Clippard’s air preparation equipment is one of the world’s top-tier services in the market. Specialized engineers have made its Pneumatic applications to work on a longer scale, greatly improving system efficiency for compressed air. Following an impressive line of technology, Clippard’s filters detain solid particles and eliminate water thru the use of air spinning. These larger particulates are set aside against an area of the bowl where they’re being condensed. In other words, these elements are thrown to the lower part of the bowl. As for the smaller particulars, they are gathered as the air flows going through the filter component. Referred to as one of the most significant requirement in all systems, controlling pressure stands tall in Clippard’s arsenal. These regulators are modifiable starting from 7 to 125 psig. Sizes that are in the ranges of #10-32 is considered to have a piston-style as it sports a smaller size. On the other side of the spectrum, the measurements of 1/8” to 1” are known as a diaphragm design. Clippard offers the finest lubricators in the industry. The engineers understand how Pneumatic actuators and valves have an increase in their efficiency once they have been suitably lubricated. In return, Clippard’s professionals emphasized its use for lubricators in their company. Serving as a tank for the oil, the bowl carries an important task. At the same time, it provides oil thru the pick-up tube when under pressure. The oil’s amount is controllable by the use of an adjustable needle valve. Please call us! We would be happy to hear from you and we love to answer any questions you might have about our current products or services; industrial machine servicing; line boring equipment; Pneumatic Valves; Tig Welding Products & Supplies;Steel and Stainless Hydraulic Fittings; Electric Motors and Controls; Paint Booths and Systems; Air Logic Controls; Hose Reels; Hydraulic Pumps; Pneumatic Compressors; Specialty Welding; CNC Parts, and many more services than we can list.